If excellent quality impressions are to be achieved, it is essential to mix the components in the correct ratio and rapidly thus ensuring a homogenous mix, free of air bubbles. Various mixing techniques are available for this: Hand Mixing with a spatula and bowl, hand-held (mechanical) appliers/dispensers or automatic mixing machines. The Hand Mixing Technique is the initial method. In order to take an alginate impression, a spatula is used to mix powder and water together in a bowl. For low or medium viscosity silicones and polyether impression materials the base material (main amount) and catalyst (usually smaller amount) are mixed on a mixing pad (special paper or plastic). High viscosity, heavy body silicone materials (such as for functional peripheries or as putty for primary and two-step impressions) are often mixed together by hand in a ratio of 1:1. The disadvantages with the hand mixing technique are an inaccurate mixing ratio due to, for example, compacted powder, unequal or incorrect amounts of base and catalyst extruded, inhomogeneous/incomplete mixtures, entrapment of air bubbles, time pressure (low viscosity silicone still has to be filled into the application syringe after mixing) and premature setting as well as waste materials due to material sticking to the mixing surface. More recent, virtually self-contained mixing systems make use of cartridges such as those supplied by the market leader Sulzer Mixpac AG. As a rule, MIXPAC™ cartridges are filled directly with the impression material components which are available in volumes ranging from 18 ml to 380 ml. 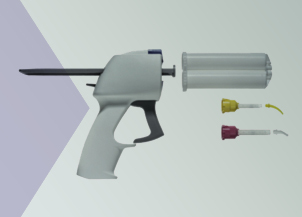 Both components are always extruded in the same proportions by the plunger of a dispenser or mixing unit (as with the double syringe system for filling materials and cements). To stop premature contamination the cartridges are designed with two separate outlets, which is a significant product advantage for cartridges. Coded mixing tips are used to ensure that the catalyst and base material are mixed thoroughly and homogeneously. The coding on the retaining ring of the mixing tips avoids incorrect fitting which prevents cross-contamination. A difference is made between mechanical techniques and machine procedures. 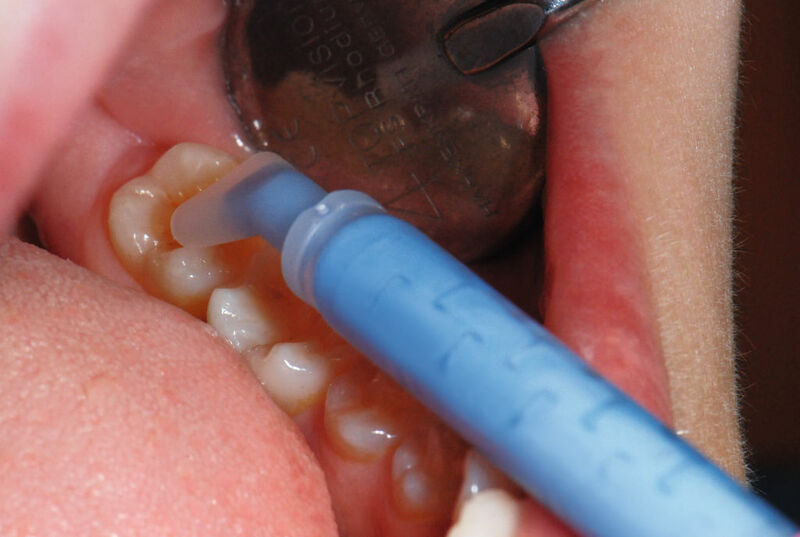 Dispensers (mechanical) are in widespread use for low to medium viscosity silicones (particularly monophase, precision, wash and bite registration materials) with a mixing ratio of 1:1. Cartridges are placed into dispensers and secured against being dislodged with a locking clip or - new - a rotating ring. The colour of the retaining ring is a sign of high quality Swiss manufacturing and refers to original Sulzer Mixpac products. Furthermore, these are easily recognised by the MIXPAC™ logo. A series of mixing elements with different geometries inside the mixing tips provide thorough, homogenous mixing to ensure high quality, successful dental treatment. The latest development, the MIXPAC™ T-Mixer, saves material. The manually operable MIXPAC™ S-Dispenser II mixes impression material homogenously and it can be applied directly intra-orally, as well as onto the tray or denture etc. 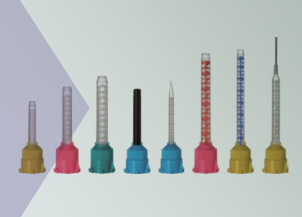 For easier and more precise oral application, curved or angled tips can be fitted onto the round nozzles and snapped into place. These tips either taper off to a narrow end (punctual application) or to a flat cross-section (for applying a “ribbon” of material such as needed for bite registration). 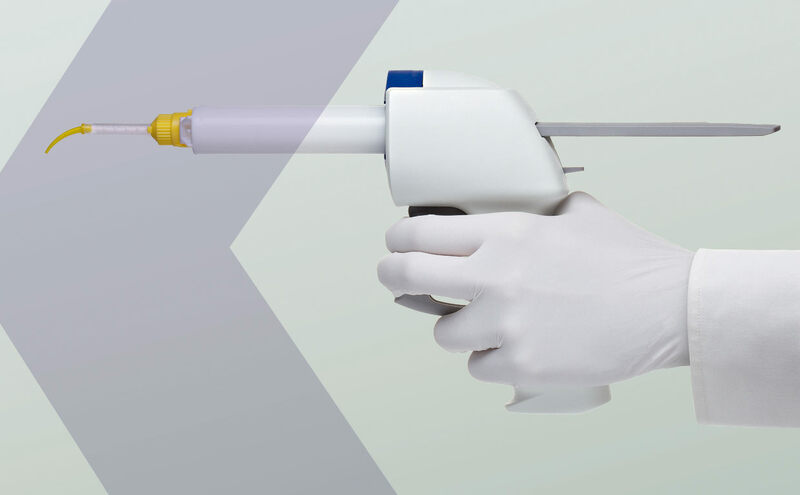 The MIXPAC™ Colibri has recently been launched onto the market and features a bendable cannula, which can be rotated through 360°, for applying the impression material precisely. Such systems are also used in dental technology (e.g. for gingival masks). 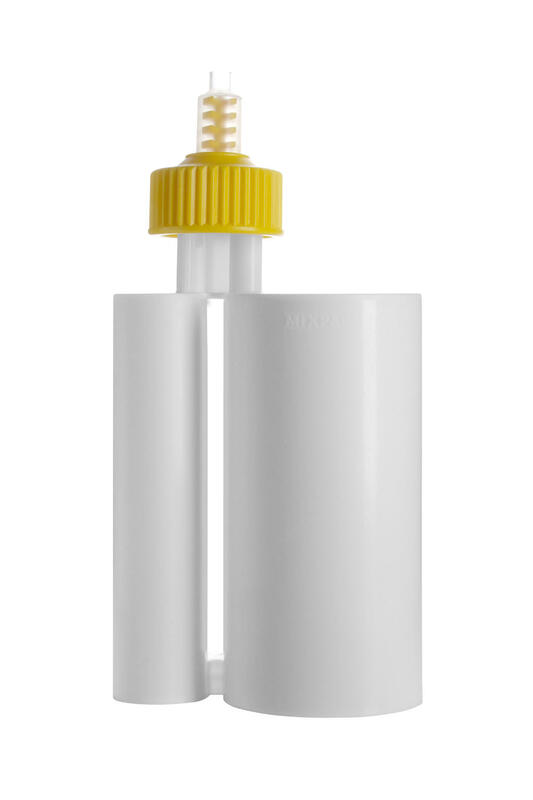 The materials are mixed with dynamic mixing tips fitted to MIXPAC™ bulk cartridges (380 ml). The dynamic mixing tip is secured in place with an additional bayonet ring. Once the machine has been switched on, the mixed impression material can be loaded directly into the syringe, impression tray or denture. The electric drive is powerful enough to blend and extrude high viscosity putties as well as larger amounts of material (such as for monophase or anatomical impressions) within an acceptable working time. A built-in timer indicates when the pre-set curing time has elapsed. A display shows when too little material remains in the cartridge. 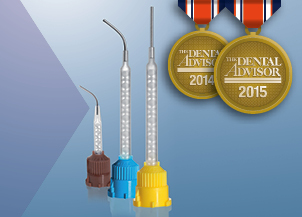 These systems are used in dental technology for mixing duplicating materials. Alginates can be mixed in vessels (mixing bowl) with electric mixing machines.